Can we talk about HOW adorable sweet Cameron is for a minute?! Her Mama and I go waaaaaaay back. Back in the day (before photography for me), I used to be the Fitness & Wellness Program Coordinator at The University of Texas at Austin. Each Spring, I taught the "Instructor Training Series" for people wanting to learn to teach Group Fitness/Exercise classes. Sweet Katie was one of my participants, and she was always one of my very favorite instructors and people. And she just lights up this world with her smile, energy, and personality. It is so much fun watching people I've known for almost 15 years get through college, get married, and become Mamas. This was such a special session, and I'm so glad I got to shoot it and capture such sweet moments as they became a family of three! 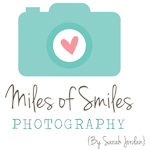 Enjoy a peek into Cameron's Studio Newborn Session! Scheduling Update: Our calendar fills early (usually 3-4 months in advance and 6 months in advance for Fall sessions). Contact us here for our availability, and to learn more about how we turn your sweetest memories into forever ART for your home.